Started her Bollywood career almost 6 years ago, this Bangalore beauty exploded on the screen in no time. Where usually newbies take at least two to three movies to get noticed , Deepika had it all what most women crave for with just one release. Yes, we are talking about FAME! Reportedly, the duo is all set to start work on director Imtiaz Ali's next film titled Tamasha. Ram-Leela is an upcoming 2013 movie Hindi romantic-drama film directed and produced by Sanjay Leela Bhansali. It stars Ranveer Singh and Deepika Padukone as the eponymous leads. The film is said to be an adaptation of Shakespeare's epic love story Romeo and Juliet, set in violent times. [1The film will be released on 15 November 2013. Deepika Padukone (pronounced [d̪iːpɪkaː pəɖʊkoːɳ]; born 5 January 1986) is an Indian film actress and model. She has established a successful career in Hindi (Bollywood) films, and is cited in the media as one of the most popular and attractive Indian celebrities. a link was added: Deepika Padukone and Ranveer Singh are now officially married! 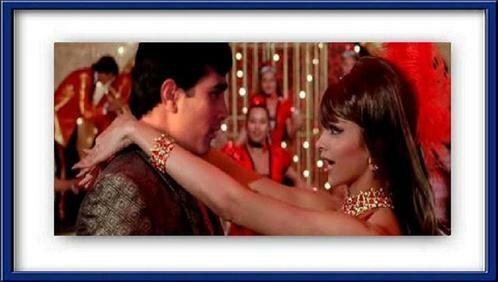 Super Star Rajesh Khanna appeared with Deepika Padukone in Om Shanthi Om in which song?